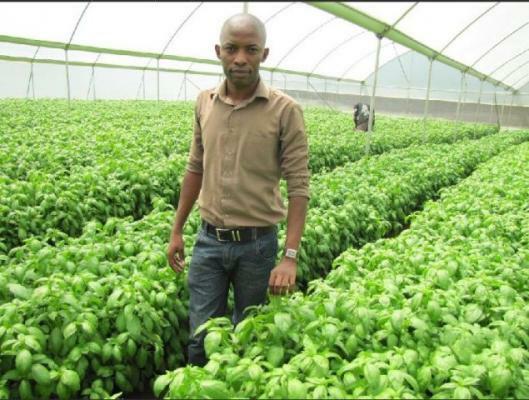 Smallholder farmers in Nakuru County who traditionally farmed maize and beans have found a new lifeline in a versatile aromatic herb that belongs to the mint family dubbed basil. The herb, which the farmers grow for the export market, is now earning them up to Sh200, 000 every month. 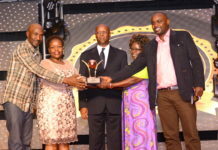 With guidance from Premier Seeds Limited, a vegetable seed company, the farmers have become net supplies of a herb whose multiple health and nutritional benefits has made it a hit internationally. 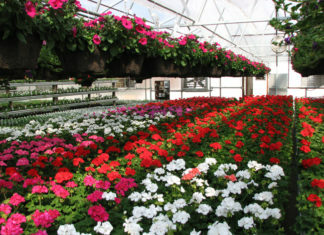 To get maximum output that meets international standards, the herb is grown in greenhouses. 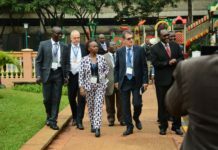 To assist farmers who might not meet the cost of constructing the greenhouses, Premier Seeds has entered into a financing agreement with financial institutions allowing farmers to own greenhouses which they later pay for in installments from the proceeds of the basil at agreed rates with the financiers. The financing also caters for the sale of seeds and agronomic support. The farmers grow Premier Seeds Sweet Aroma 3 variety, which belongs to the sweet basil variety, one of the most preferred varieties by chefs globally. The herb has become an instant hit among Nakuru farmers making an initial foray into horticulture for its ease of cultivation and growth traits. A bushy annual plant, it takes on average 42 days to mature and produces a light green silky leaf which tastes somewhat like cloves with a strong pungent and sweet smell. Farmers harvest the leaves after every ten days. A typical greenhouse measuring 8 by 30 meters produces on average 125 kilos of basil every week with a kilo going for Sh390. In a month a farmer is able to make on average up to Sh180, 000. The crop is also a pest and mosquito repellent meaning and is rarely attacked by pests. “We are responding to market demands. The demand for basil has been meteoric and when the buyers suggested that we should consider growing the other herbs we said why not,” Said Andys. I am interested in growing Basil ( and other herbs) under greenhouse in Ngong. I have sufficient water(borehole) and land . Hi.Am Mary and very interested.We are a duly registered women group and have a greenhouse in kahawa sukari,Kiambu County.Would you contract us?My nos 0720030697/0788355513.What are the terms? 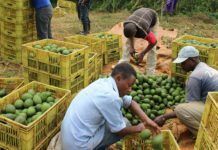 Comment:Good agribusines venture with high returns with small portion of land.Interested but in kirinyaga county…Is climate favourable?if its so,which best way forwad to get connected to get started? please contact me via labanmkuria@gmail.com 0724431684.
i am in Murang’a, Kandara. exactly 70kms only from city centre and have capacity for 16 greenhouses each measuring 34metres by 8 metres. of these 7 are ready for action PAP! Hallo,just to share my little experience with the crop.On a trial basis,I have previously planted it in my little garden in Nairobi.Successful I was for a while in the open.But what I observed is that snails and fungal attacks were my biggest impediments. Am interested in basil farming. Kindly advise.